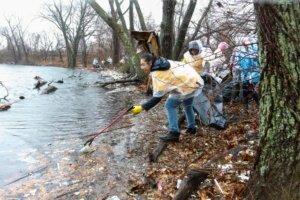 “Save the Earth from A to Z!” shouted the university student volunteers during the Hempstead Lake State Park cleanup. On December 16—a brisk and rainy Sunday morning—there was no rain check for the ASEZ volunteers. 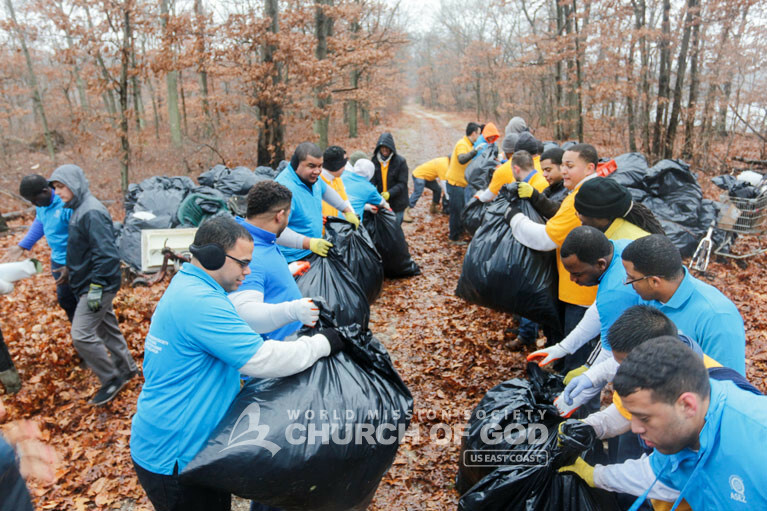 With excitement, enthusiasm and the love of Heavenly Mother, ASEZ and Church of God members from New York City and Long Island went to Hempstead Lake State Park. 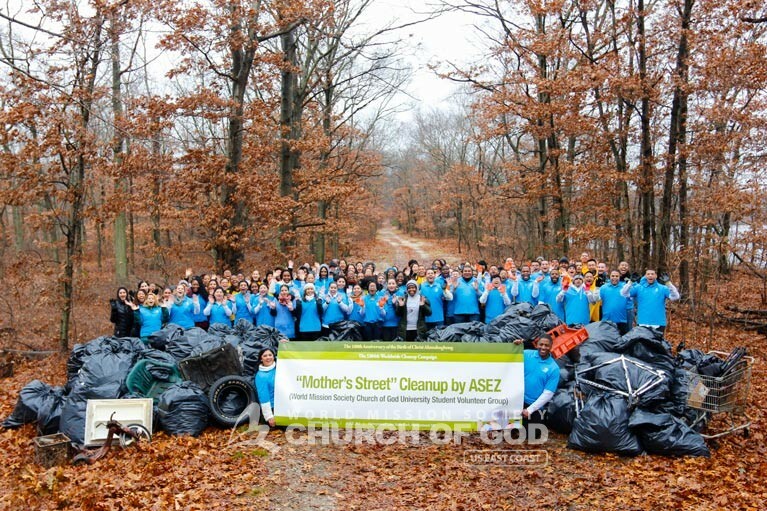 This event was all part of the worldwide “Mother’s Street” cleanup campaign. Long Island’s Hempstead Lake State Park has beautiful scenery. 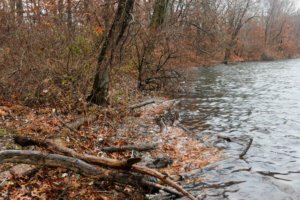 However, the state park is surrounded by a highly industrial area, which is the source of much of the litter that makes its way through a creek into the lake. As a result, the park’s scenery is deteriorating. 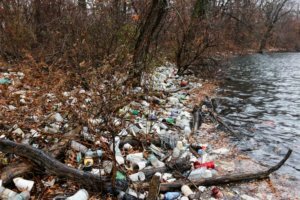 Furthermore, the ongoing accumulation of trash and pollution in the lake is having a negative effect of the park’s environment. Additionally, statistics show that Hempstead has an above average crime rate. Sociological studies have proven that there is a definite correlation between crime and deteriorating environments. That’s why, as part of the “Reduce Crime Together” movement for human happiness, ASEZ volunteers gathered to clean the northeast pond. About 120 volunteers picked up trash, plastic bottles, and debris for about two hours. 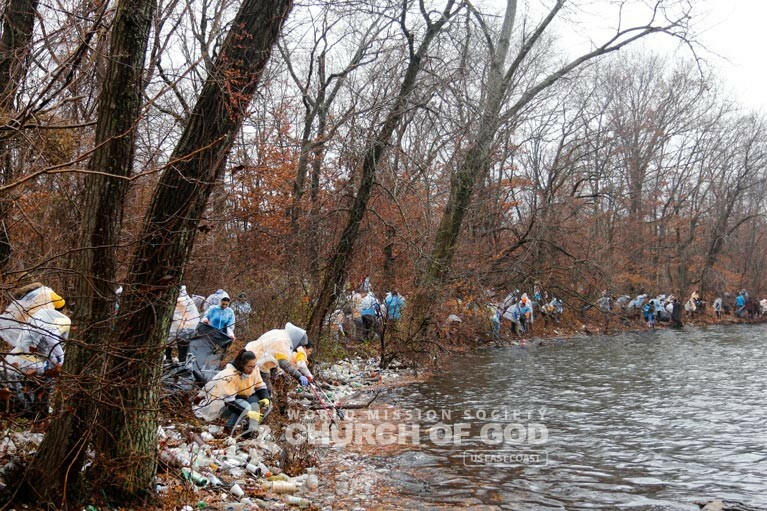 As a result, they collected 132 bags of trash, weighing about 15 gallons each. ASEZ volunteers gathered around the shoreline of a lake to remove excess trash. 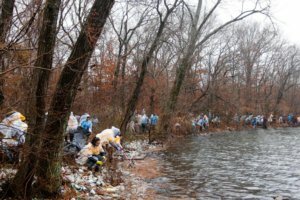 ASEZ volunteers removing bags of trash from Hempstead Lake State Park. ASEZ volunteers fishing out litter from one of the lakes at Hempstead Lake State Park. ASEZ members hope that through this cleanup, neighbors can be positively influenced to keep the streets of Hempstead and nearby towns clean. Moreover, they hope that more acts like this will not only create a cleaner environment, but also lead to a safer community for residents. 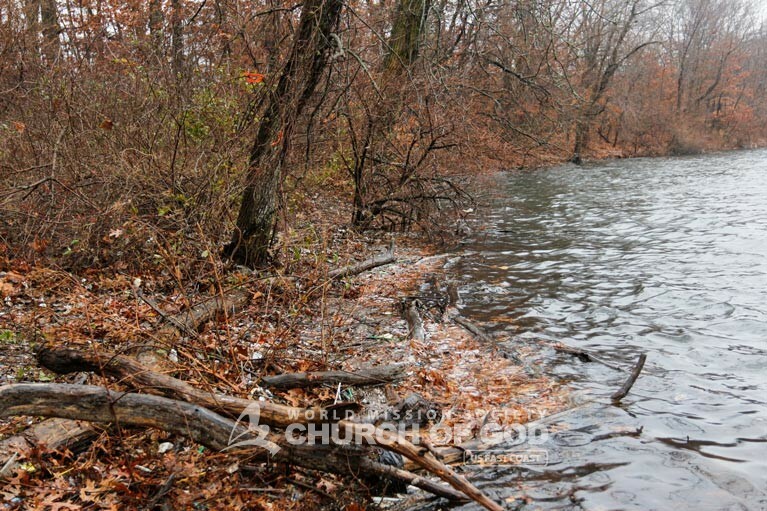 Photo of shoreline before ASEZ volunteers removed trash. Photo of shoreline after ASEZ volunteers removed trash. It’s really amazing to see the big difference. I understand why crime would reduce because people love beautiful, clean places and tend to make much effort to keep it that way. They become more conscious of trash when the area is cleaner, so there’s more of an opportunity to keep it clean. Wow. This is so amazing! When a group of people have a goal and go after it, with hope of encouraging others to join in, it’s so amazing. It must have been so cold that day, yet everyone looked prepared and ready to clean. The difference they made in just a day is truly fantastic! Today, many people say there’s no hope in this world. Because they don’t know church of God and ASEZ. ASEZ members are showing God’s love with their acting. Their acting it self is telling this world about Mother’s message of love, our only hope in this barren world.